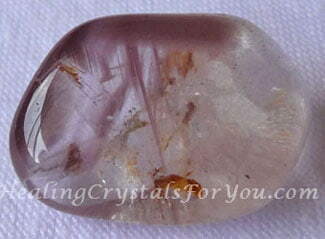 Lithium Quartz is a beautiful crystal, and not just to look at. It has a sweet calming energy that is effective to help stress and tension. 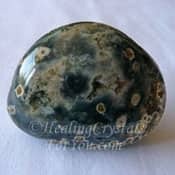 The vibration of this stone may help with stress, depression and anxiety., and is an excellent meditation stone that will heighten the profoundness of your inner journey. 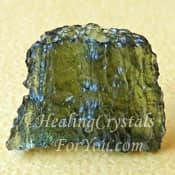 It helps to support spiritual growth and takes you easily to the higher realms and helps you to make heart felt spiritual connections that have an amazing beauty and depth. It's energy will move throughout your entire body, healing areas of the aura that need help and activating all of the chakras. 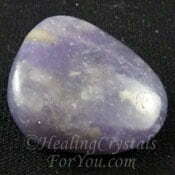 It is a wonderful stone for healers to use and to wear, as it helps to create a peaceful and harmonious space for healing. This variety of quartz is found in only one place in Brazil. It is called Lithium Quartz, because these stones are known to contain Lithium, but they may also contain other minerals included in the quartz, other than lithium. This is why some stones have lighter or darker colors than others, as minerals such as manganese, aluminum, iron and kaolinite may be present in some stones. While many of these stones do not contain high amounts of lithium in them, due to the resonance of the quartz crystals they will feel like they are much stronger crystals. 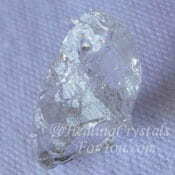 These stones usually occur as prismatic quartz crystals, with a number of different quartz configurations possible. 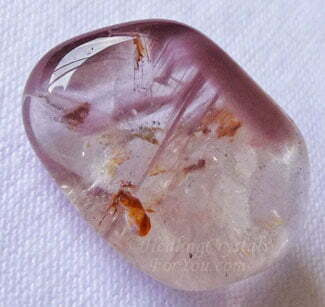 They have inclusions of lavender, lilac or pinkish grey minerals within them, and many of the stones are phantom quartz, with quite lovely phantoms showing within the crystals. These lovely stones are simple to use, as they easily link you to any of the chakras simply by holding them in your hand. You can easily feel the energy in your hands, and you will then feel it move through the body. The energy that resonates from Lithium Quartz Crystals is known to easily move from your hands, first to your heart chakra where it creates a profound and deep affinity. It then moves on up to make a strong third eye connection. You can actually feel it like a pulsation moving through you, as it moves up and connects with your third eye chakra. From there it will flow into all of the areas nearby, stimulating the brain with a gentle yet easily felt energy. This is a sweet beautiful energy, calming and soothing yet strong enough that you easily feel it moving. From the third eye it then makes its way up into the higher chakras. The energy then moves up via the crown chakra to make a connection at the soul star chakra, as well as the higher transpersonal chakras to awaken the higher self. This stone's energy is softer than many strong crystals, and although that sounds like a contradiction, what this is referring to is the softness of the type of energy they embody. 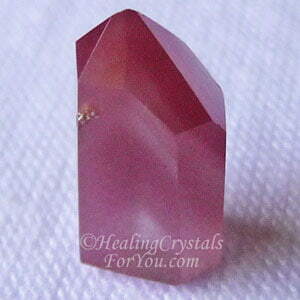 This is a truly lovely crystal, and not just to look at, as it has a nice, sweet calming energy. It is highly effective to aid stress, tension and depression. 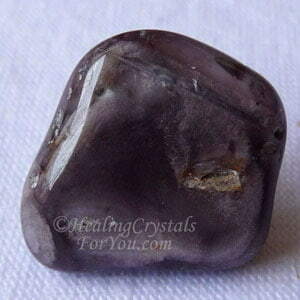 This is an excellent meditation stone that will heighten the profoundness of your inner journey and support spiritual growth. 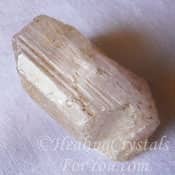 Lithium Quartz takes you easily to the higher realms and helps you to make heart felt spiritual connections that have an amazing beauty and depth. It will move throughout your entire body, healing areas of the aura that need help and activating all of the chakras. 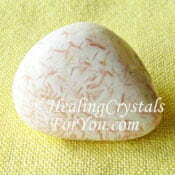 The vibration of this stone may help you to heal your stress, depression and anxiety. 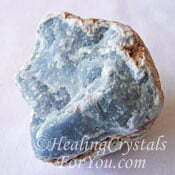 A wonderful stone for healers to use and to wear as it helps to create a peaceful and harmonious space for healing. 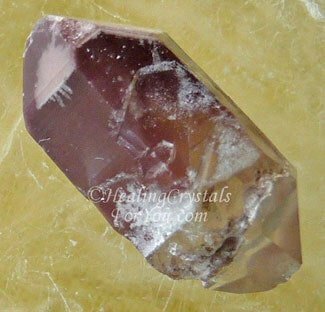 You can easily use this lovely crystal for self healing as it has a beautiful energy that moves throughout your entire body, healing wounds in the aura and in the emotional body, and activating all of the chakras. It first makes a connection at the heart chakra and this is a beautiful and profoundly loving energy that brings emotional healing. The lithium contained in this stone is a mood stabilizer, that helps you to release tension and stress, and may aid hypertension. 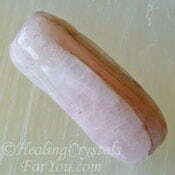 The energy of the Lithium Quartz then moves up to the third eye, where its vibration will benefit you. It will help you by having an effect on the area at the front of the brain that relates to your ability to perceive visually, and to receive the vibrations from spirit. 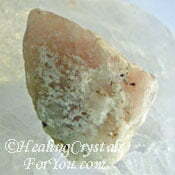 It is a good healing stone, and if you do crystal healing you may like to use it in body layouts. 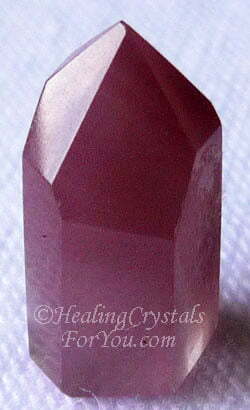 It can be used at any chakra, but it has such a strong loving vibration that it would be good to use at either the heart or thymus chakra. Its vibration will aid all of the chakras below the heart by clearing stagnant energy as it activates them, and its action within the brain will help the solar plexus chakra to operate better. It calms the brain and releases the tension there. This may allow you to utilize the power of the brain and mind and is known to help to enhance your creativity. This is definitely a lovely stone to use to do a meditation with crystals, as it brings through such strong calming energy that helps you to let go of tension, stress and anxiety. 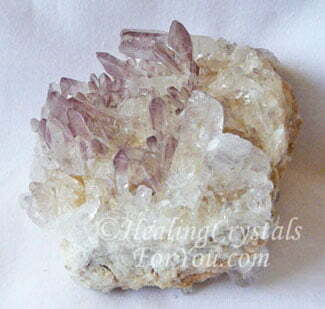 Due to the fact that it is one of the quartz varieties, it will resonate the vibration of the lithium within it, and this has a gentle calming effect on the nervous system. Lithium Quartz connects well via the hand chakras, but you can also get good results from placing a stone directly on your third eye chakra. It really depends on your preferences as you can easily feel the movement of the energy from your hand as it makes its way throughout your body. For healing, the energy of a double terminated Lithium Quartz wand, like the one in the image at the top of the page, is useful to channel the energy into where it is most needed. 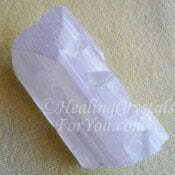 This is one of the many crystal formations that you will find this variety of quartz in. 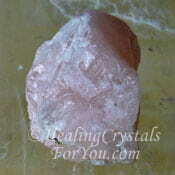 It has a deep heart based vibration that you may feel at the heart and the thymus, or higher heart chakra. It is common for it to stimulate the brain, and this begins by starting at the third eye chakra and then moving out in all directions from there. You may also like to place a Lithium Quartz crystal into your pot plants to attract nature spirits, and to aid the growth of your plants. Used at the sacral or navel chakra, its energy may aid the healing of relationship problems where there is stagnant energy in that area that is difficult to shift. 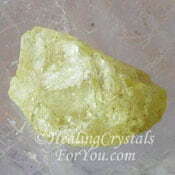 It's lovely healing energy aids self esteem, and may help you if you have self confidence or self worth issues. It will help to heal relationships of all kinds, including those with the people you work with, friendships, personal love relationships. Most of all may aid you to feeling more loving towards yourself. It is also known to aid communication and may stimulate your throat chakra, and it is said that it may particularly stimulate you to feel an urge to sing. If you feel this happen allow yourself to flow with the energy and follow what comes forth as it may create experiences for inner growth. 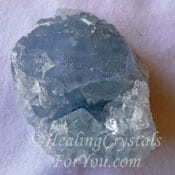 This delightful crystal is an agreeable stone to wear on your body, as it helps to keep you calm as it is one of the ways to relieve your stress. It will also help you to keep an on-going connection to your higher self. 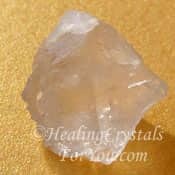 Lithium Quartz is on the zodiac birthstones list as it is an Aquarius birthstone, so you may find that you are able to get jewellery made from this stone. The piece shown in the picture below is a quite special formation, as it is a phantom quartz, and this is quite common to find these crystals structured in this way. 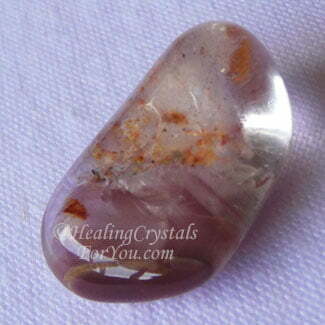 Stones that are shaped like the one in the photo shown here, are easy to make into crystal pendants, if you find you are unable to buy lithium quartz jewelry. It is a lovely stone to keep on your body, and if possible keep it close to the area where you would most like it to effect. While this is advantageous to have it close to the area you would like it to work, it is not crucial. The important thing is to have it within your auric field as you will receive the healing you require as long as it is within your aura. Simply having a piece in your pocket also works well. For aiding you to sleep better, put a piece under your pillow. It combines well with Scolecite, so you could put them both into a cloth bag under your pillow, or on your bedside or close by, so their energy can resonate and benefit you. Meditation with any type of crystal is helpful, and using this quartz crystal is excellent to aid you if you are stressed, or if you just want to achieve a state of deep relaxation. Many people find it hard to meditate as they are too aware of their body, and find it hard to relax deeply enough to make a connection with spirit. 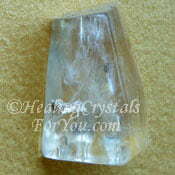 Lithium Quartz commonly creates an effect that helps to make a connection easily with the higher realms. 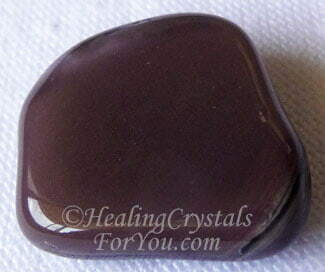 The lithium within the stones is calming so this helps you to achieve a greater depth of meditation more easily. As the energy moves up from your hands you will feel its presence as it moves through the third eye and energizes the area. You may see the energy as it goes up from the third eye as a quite visible white light, that fills your brain. At the same time as it moves higher up through the crown chakra and into the higher transpersonal chakras. I found that using this stone was so beautiful, so soothing and so relaxing, and at the same time I began to see images flash on my inner screen. The gorgeous colors of bright white, magenta and golden light followed one after the other, each one filling my mind, while at the same time seeing inner visions of faces and events, before it moved on. It was like a slow motion video of images and beautiful swirling colors interwoven. The magenta was so beautiful, calming and very high vibration, yet at the same time it seemed to be so loving and heart based. The bright golden light was highly spiritual. I could feel the presence of spiritual beings communicating wordlessly, feelings of deep peace and the knowledge that everything in the world was okay. "Always aim at complete harmony of thought word and deed. 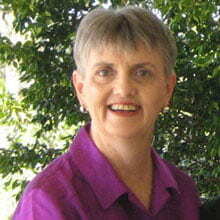 Always aim at purifying your thoughts and everything will be well." Mahatma Gandhi. There are just so many different stones that you can combine this lovely stone with. Specific stones that help stress will work well combined with Lithium Quartz, including other stones that contain lithium. These include Lilac Lepidolite, Pink Tourmaline, Holmquistite, Chrysocolla, Yellow Amblygonite, Eucryptite, Hiddenite and Pink Kunzite Crystal. Depending on your reasons for using it, this is a good combination, as the stones that are high in lithium will accentuate its action to calm you and to aid stress. 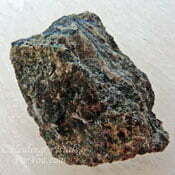 You may like to use it with almost any stone, as it is an excellent stone to aid meditation. Other stones that are specifically good to use with it are Eudialyte, Ajoite, Green Chrysoprase, Ocean Jasper, Morganite and Angelite. Use it with Rubies or Ruby in Zoisite now known as Anyolite to channel the energy to the lower chakras and to accentuate its connection to the base or root chakra. 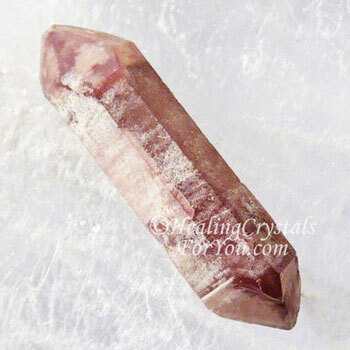 By using this quartz crystal with any of the high vibration crystals, which may also be known as high crystal energy stones, you may find you create a better connection to the higher realms during meditation. Crystals you may like to use include the high vibration stones such as Danburite, Natrolite, Satyaloka Quartz, Moldavite, Petalite, Phenacite, and Nirvana Quartz aka Lemurian Scalar Quartz, as this will assist you to open yourself up to the energy of the higher spiritual realms. 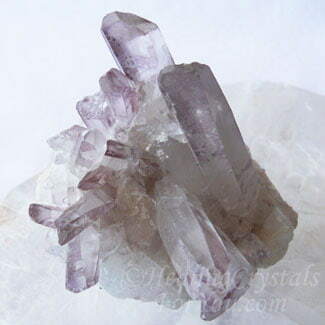 Other stones that bring through a peaceful harmonious energy that is of a high vibration include Yttrium aka Lavender Fluorite, Petalite, Scolecite and Celestite. 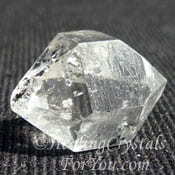 Any of the other quartz crystals will work well used with it, including the high vibration Herkimer Diamonds.